To measure for your “fencing kit” use a tape measure. Then call Absolute Fencing! jacket: measure the circumference of the chest just below the armpits. Knowing the waist measurement is usually optional. mask: measure the circumference of the face. 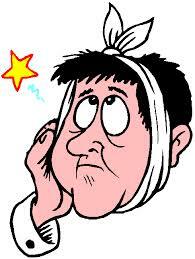 It is sometimes called the “toothache” measurement. 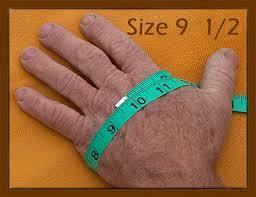 glove: measure circumference of the widest part of the hand without the thumb. Number 5 in length (unless the student is very young or small). 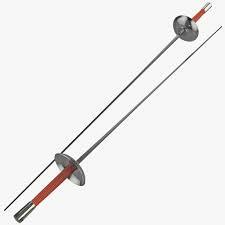 knickers: measure the waist and height of the fencer. plastron: Measurement is the same as jacket. Plastrons are a “half jacket” worn under the larger jacket as a second layer of projection. It is required at all USFA tournaments. 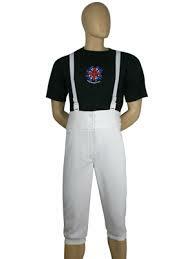 rigid protection (required for women): Measure for rigid protection using chest size. Rigid protection is required in USFA tournaments for women. It is optional for men. 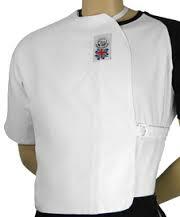 Students wear rigid protection to guard against hard hits to the chest. socks: Just be certain the socks are knee high and meet the knickers. shoes: Nearly any type of tennis shoe is fine for beginning fencers.